It’s not so much a memory as a story I’ve been told: a two year-old version of me crouches beneath the dining table in our old house. I’m asleep, but screaming. Whether terrified, enraged, or some combination, I’m responding to a dreamworld that’s mushroomed open inside my home, expanding it from the inside. I’ve been racing through that parallel space, darting through openings and weaving among objects that both are and are not the hallways, doorways, and furniture of our tiny house on Queen’s Avenue. As an adult, I have no recollection of that other world or what I was doing there, but my night terrors are now part of my personal mythology: when I was a kid, I used to go somewhere in my sleep and run, shrieking, from (or maybe toward) whatever I found there. This went on until, out of options and in a desperate bid to soothe whatever wild energy I may have been sensing, my parents allowed their minister to bless our house. There was a kind of exorcism. And, soon after, I stopped screaming. But I’m pretty sure this isn’t about cause and effect. My project as a scholar has been to seek out suppressed perspectives, ways of seeing that might unsettle what we think we know and help us feel the world’s contingency, its openness to transformation. Appropriately, then, I think this project is deeply rooted in an experience I can’t recall, because once upon a time a smaller version of me used to open her eyes and see something else—something more than a hallway, a tile floor, or a dining table. Until a few years ago, I hadn’t given this much thought, but then my mom and I went to see James Wan’s Insidious (2010), and it gripped me in a way I really didn’t expect. (My mom is my brave but somewhat reluctant horror movie buddy. She watches some scenes with her hands over her eyes, and is usually good for at least one “jump” in her seat that startles me more than the movie does…) I’ve decided to start my series on haunting by telling you about this movie because, when I watched it, I felt it picking up some of the fragments of my kid fears and putting them together. It felt like an invitation to reconstruct that “other” realm that sometimes surfaced in the midst of my family home and made it what Freud called unheimlich—unhomely or uncanny. The furnace had teeth; there was an eye in the curtain (more on that another time)… So in these writings on hauntings I’m coming at my research through a side door. It’s the door that Avery Gordon, in her fantastic book on ghosts and haunting, describes as “the door of the uncanny, the door of the fragment, the door of the shocking parallel.” It leads down a rabbit hole of discarded memories and strange feelings and the other traces of experience that make us tick. Insidious is the story of a kid who goes to sleep one night and doesn’t wake up. Dalton Lambert, we find out, is a skilled traveler of the astral plane, an ability he’s inherited from his dad. His consciousness journeys into other realms when he sleeps, and this time he’s wandered too far, becoming lost in a place that paranormal investigator Elise Reiner calls “The Further.” While he’s gone, the tortured souls of the dead vie for possession of his unconscious body, using it as a conduit through which to fleetingly access the world of the living and ultimately looking to steal it for keeps. And while these lesser entities terrorize the Lambert family in “this” world, a particularly malevolent figure that Elise describes as a “parasite” keeps Dalton trapped in its corner of The Further. Realizing that Dalton can’t make his own way home, Elise sends his father, Josh, to retrieve him. The family secret, you see, is that Josh used to travel as Dalton does; as a child, he’d experienced what his mother had understood to be night terrors, until, alerted by the presence of a shadowy figure haunting her son in a series of family photographs—coming nearer and clearer with each image—she’d enlisted Elise’s help. “Night terrors” were the this-worldly manifestation of his repeated wanderings into The Further. They stopped when Elise repressed his memory both of where he went and how he got there. Insidious visually renders its parallel dimension as an amorphous, edgeless darkness in which recognizable landmarks—the Lamberts’ old house, in this case—appear like faded photographs of themselves, their thresholds roiling with mist, their outlines uncertain. In the Lambert house we encounter what seem to be shades of its former inhabitants, including a white family arranged in a mid-century living room tableau: mom at the ironing board, dad reading the paper on the sofa and, next to him, daughter number one staring straight ahead. As Josh moves on from the room, we hear the sound of a shotgun cocking and firing. He goes back to find daughter number two wearing a why-so-serious grin and standing, holding the gun, in front of the sofa on which all three family members are now slumped. In my research and teaching, I’m beginning to explore the socio-political pasts that haunt the houses of horror fiction, and this, certainly, can be read as a gesture in that direction: the twisted underbelly of the American nuclear family; a monstrous daughter violently intervening in a space shaped by patriarchal power… But here I’m interested as much in space as time because, like many haunted houses, this version of the Lamberts’ home is bigger on the inside than it should be: through an ominous red door in the attic, the interior of the house bleeds into a nightmare dimension complete with a “workshop” in which Dalton’s demon sharpens its claws while an old gramophone warbles Tiny Tim’s creepily off-kilter “Tiptoe Through the Tulips.” The Further stretches the house from the inside, and Dalton’s been busily exploring—and mapping in his drawings—an unseen extension animated by horror, fear, rage, sorrow, and other “bad” feelings. I have no idea where I was during my night terrors, but thinking about the film’s visual rendering of The Further led me to a realization about them: I “know” that this world is ghosted by alternative iterations of itself, that it sometimes gives way to other layers of experience and perspective into which we can be emotionally pulled. 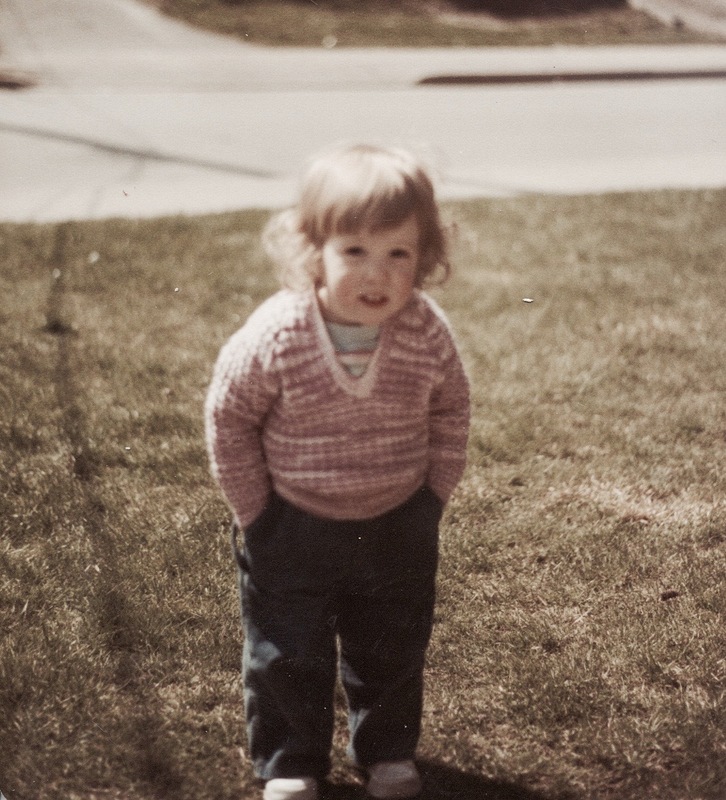 I’m not saying that I was busily projecting myself onto the astral plane as a kid (but I’m not saying I wasn’t, because that’s a pretty cool story). I’m just saying that once upon a time I physically navigated and emotionally responded to a place that was different—though not unconnected—from this one. I opened my eyes and saw something else, and it was terrifying or enraging or exhilarating or maybe all three. I’ve been wondering if my history of reading and watching horror stories has kept some element of that experience alive; if the combination has helped me become attuned to the other stories—other ways of seeing the world—that become discernible if we attend to shadows and ghostly presences and things that go bump in the night.